membership benefit of having the first pick of our beautiful selection of plants, some of which sell out that evening. Checks, cash and credit cards will be accepted. garden treasures, including copper garden ornaments and steel features for the home and yard. Dano’s Hot Dogs from Lenoir City will be offering an expanded sandwich menu along with his famous lemonade. 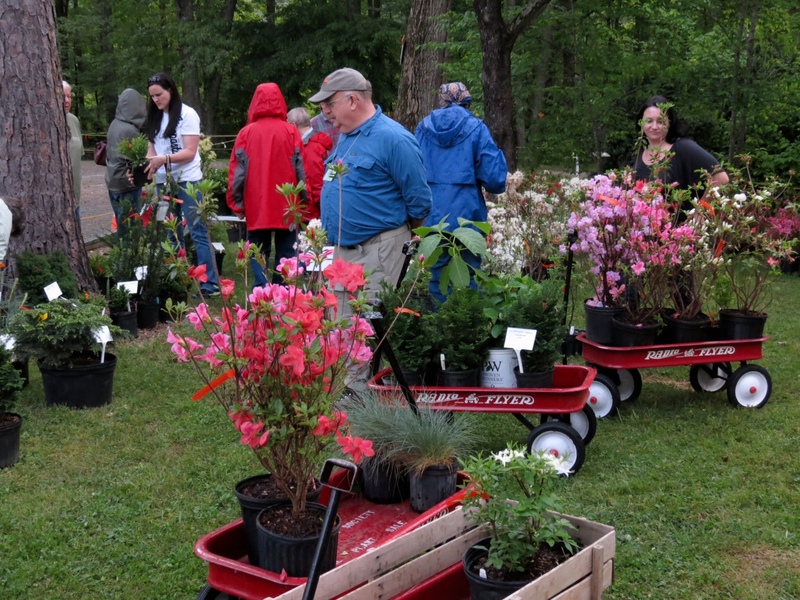 The University of Tennessee Arboretum Society (UTAS) has existed for 54 years as a non-profit organization dedicated to furthering the objectives and programs of the University of Tennessee’s 250-acre Arboretum in Oak Ridge. Proceeds from this sale and other Society fund-raising events go toward the operating expenses and the endowment fund for the UT Arboretum. To learn more about the UT Arboretum and the UTAS, call Michelle Campanis, 865-483-7277 or go to http://utarboretum.tennessee.edu/arboretum.htm and www.utarboretumsociety.org. The UT Arboretum Society’s third Saturday hike for April will be held April 20 at the UT Arboretum. The weather is starting to get warmer and this is a great time to spend outdoors. Learn about the UT Arboretum’s trails on this short trail hike (1 to 1.5 hours). Our April hike is one of the official hikes of the 2019 Covenant Health Dogwood Arts Patch Program www.covenanthealth.com/dogwoodpatch . 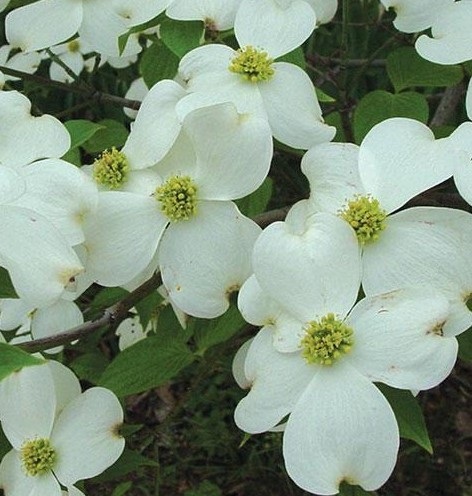 On the April hike we will choose a route to highlight our dogwood collections and any spring ephemerals that may still be in bloom. The storytelling weekend kicks off on Friday, May 31, from 1 to 4 p.m. with a writing workshop. Minton Sparks returns to conduct a 3-hour interactive writing workshop, “My Crazy Kin—Transform Your Family Stories into a Compelling Personal Narrative.” Wow, do I have a story for you! Learn how to transform your personal experiences into a compelling narrative. What’s your story? That’s what we will discover in this writing workshop. Let Minton help you craft your own story from your family history and experiences, and structure it for effectiveness. BUG CAMP 2019 for children will again be offered at the UT Arboretum Auditorium, 901 S. Illinois Avenue, Oak Ridge, Tennessee 37830. BUG CAMP 2019 will be led by University of Tennessee entomologist, Dr. Jerome Grant, with the “UT Insect Zoo.” The camp, open to rising second through fourth grade students, will be held Wednesday, June 26 to Friday, June 28 from 9:00 a.m.to 2:00 p.m. each day. Other ages will be considered as space allows. Limited to 20 children, the camp tuition is $75 for non-members of the UT Arboretum Society or $60 for members. For more information and registration, contact Michelle Campanis at 865-483-7277 or mcampani@utk.edu. 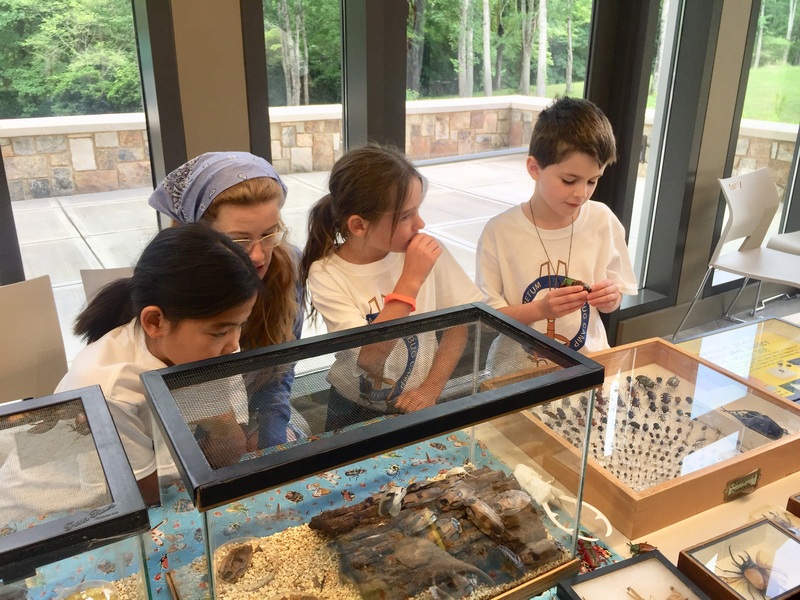 At BUG CAMP 2019, the children will get up close and personal with insects. They will learn why we can’t live without insects and about the value of different insects. They will explore the good, the bad and the “buggly” of our relationship with the insect world. Each participant will have an opportunity to take home and “host” an insect if they choose during the session. Bugs are good, bugs are fun! Come to BUG CAMP 2019 and find out why as we explore insects through bug crafts, nature walks, science activities and the UT Insect Zoo!